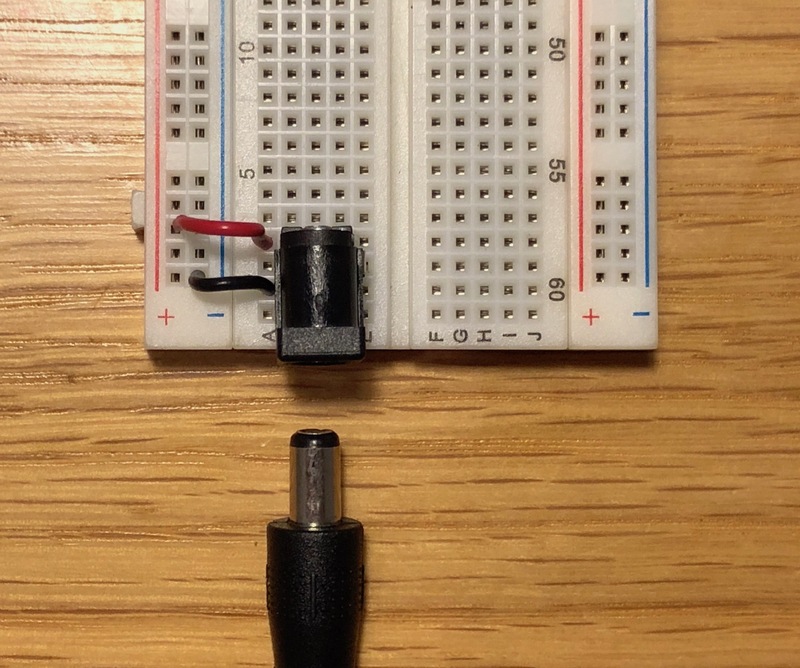 Barrel Jack for breadboard – helloCircuits! This type of female barrel jack connector conveniently fits into breadboards. The datasheet is very unclear, so here is an illustration showing which pins are connected to what. Note that the center pin is shown in red, as it is more often used for power, but your power supply may be different. Always check with a multimeter first. The center pin is the Shunt pin, and is usually not used – but it has a purpose. It is also sometimes called an Insertion Detection pin. When nothing is plugged in, it is NC, or normally closed – connected to the pin closest to the jack opening. When something is plugged in, it is open, or disconnected. This is used with projects that are battery powered. You don’t want adaptor power from a plug going to a battery, it would damage and overheat the battery, and possibly lead to fire or explosion. So if the battery is connected via the Shunt pin, it will always disconnect as soon as you plug something in. That way you don’t have to remember to take the battery out each time. In practice, a circuit would be connected to Tip and Sleeve pins (usually power and ground, respectively, but check your power supply!). The battery wires would be connected to Tip and Shunt (NOT Sleeve). When nothing is plugged in, the battery is connected. When a plug is inserted, one of the battery wires becomes disconnected.